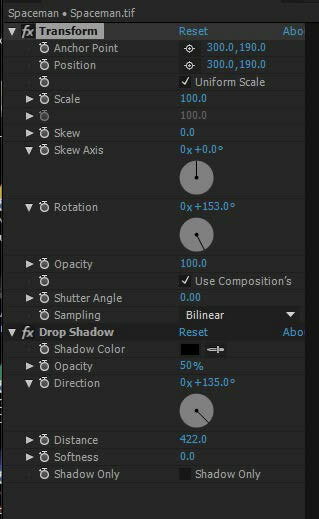 The order of your effects in the Effects Control panel will determine how things look in After Effects. Here I've applied a Drop Shadow effect to my spaceman and brought the distance away in the effects control panel. Need training? Our After Effects classes are the best and fastest way to learn this program. Public classes are available in Chicago and Los Angeles, plus our trainers can deliver onsite training right across the country. 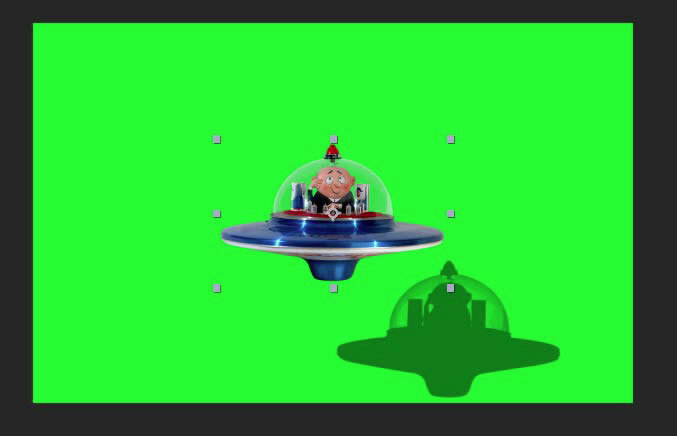 Obtain a quote for onsite After Effects training. 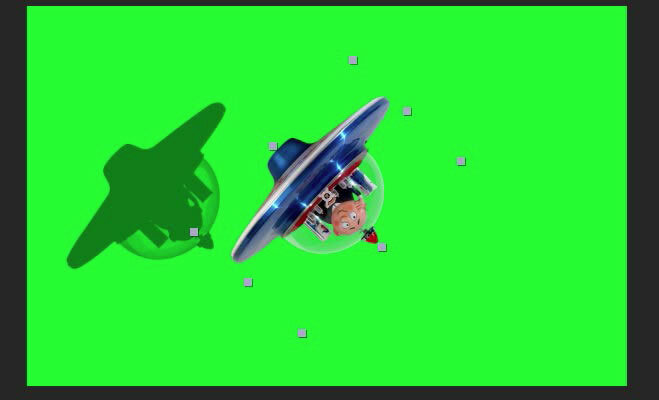 My intention for this animation is for the spaceman to spin and for the shadow to stay in place and spin also. I'll go in to timeline and twirl open to rotation and rotate my spaceman. I rotated my spaceman 133 degrees and ended up with the following results. Instead of the shadow staying in place and rotating it stayed on my spaceship's right wing. I'll reset rotation back to zero and find the Transform effect in Effects and Presets and apply it to my spaceman. Right now the Transform effect is beneath my drop shadow effect in the Effect Controls panel. 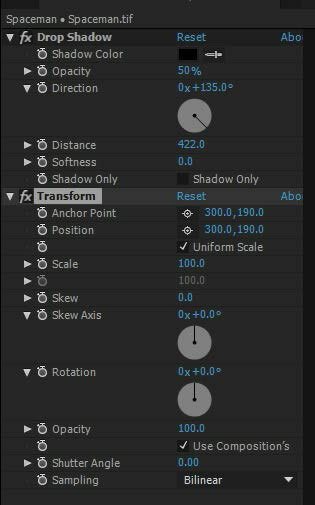 Then adjusted rotation underneath the Transform Effect in the Effect Controls panel, we would have the shadow spinning in place. In summation, if effects aren't behaving the way that you'd expect, try re-ordering them in the Effect Controls panel. Live face-to-face training is the most effective way to learn Adobe After Effects. 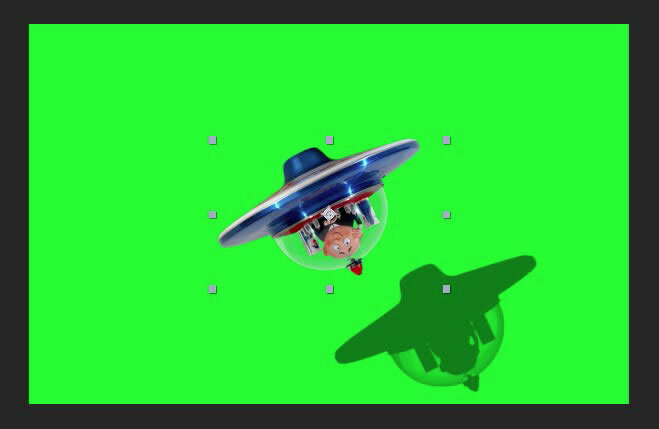 We have trained hundreds of students how to use After Effects like pros. Click on the following link to view a sample of our After Effects student testimonials.